Earlier in the day, the ED officer approached the apex court alleging that he is being harassed for attaching properties of some accused in the 2G scam case. 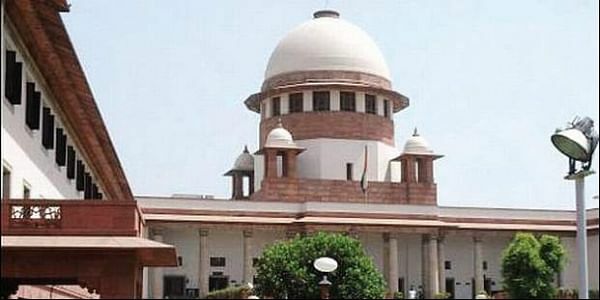 NEW DELHI: The Supreme Court on Wednesday granted protection to the Enforcement Directorate (ED) officer probing the 2G spectrum scam, Rajeshwar Singh, against complaints by any accused being investigated by him. The court also sought detailed replies from the Centre, CBI and ED in Singh's case. Former telecom minister A Raja and Dravida Munnetra Kazhagam (DMK) MP Kanimozhi are among the accused in the six-year-old case, which involved both politicians and government officials illegally undercharging mobile telephone companies for frequency allocation licenses, and then using it to create 2G spectrum subscriptions for cell phones. In April 2014, the ED filed a chargesheet against 19 people, including Raja and Kanimozhi in connection with a money laundering case relating to the scam. In June 2015, the ED stated that Kalaignar TV, a channel owned by Karunanidhi’s family had received Rs 200 crores through the 2G scam. Special Judge OP Saini has been hearing three cases of 2G spectrum scam- one filed by the Enforcement Directorate and two by the CBI.